Classic style that fits into today's wardrobes. 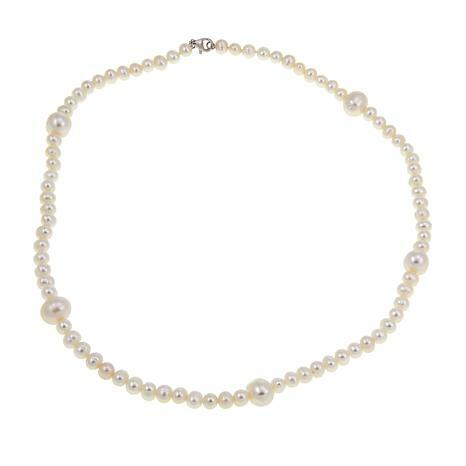 Get the look when you add this always-appropriate cultured pearl necklace to your collection. A fresh take on the traditional strand, this piece's station design delights with a feeling that's elegant, yet effortlessly modern. Every woman should have at least one. OMG, received these and was blown away. These Pearl's are gorgeous. I wore these with a Jean jacket/ Jean's, a white T. I went out to eat with a friend and got 2 compliments. 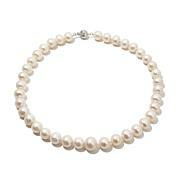 The quality of the Pearl's is mind boggling to me for the price. I've paid more for costume jewelry. Please do yourself a favor, purchase this. What a nice gift for someone, without breaking the bank. This is a forever item. Thank you to Imperial Pearl's for the quality, style, price. 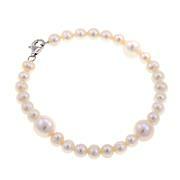 This strand works perfect for work and casual wear! 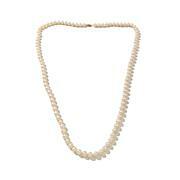 I always wanted a long pearl necklace. I have the shorter classic one but wanted one more updated and this was perfect. Love also that it can be doubled for a more layered look. Very versatile. Also purchased the bracelet. 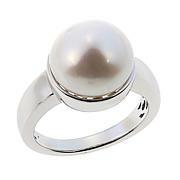 Beautiful luster on the pearls. Very well done.